Latest News …Book your Holiday Party Now! 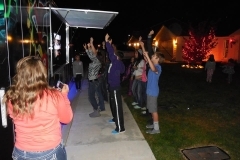 A great addition to your Holiday event, a great way to keep the kids busy, games, movies & more! QUESTION: How do I know the trailer can come to my house? ANSWER: Our drivers are excellent and can go nearly anywhere. As long as your driveway or street isn’t a very sharp hill, we can come. Otherwise, you can divert us to a nearby park, church or parking lot! We need up to 50 feet of cleared space (fairly flat). ANSWER: No, our parties do not have a limit, but only 28 people can play at one time, weather permitting. For school, church, non-profit, corporate parties and reunions, we can rotate guests through… with our stadium seating and outside TV’s there’s room for everybody! ANSWER: Our reservations go quickly. In order to hold your booking date, you must confirm with full payment on line within 48 hours of when your booking request is confirmed. QUESTION: What type of fundraising can Rocky Mountain Game Nomad do? Call Us At (406) 534-9889! The BEST Party in Billings & South Central Montana! 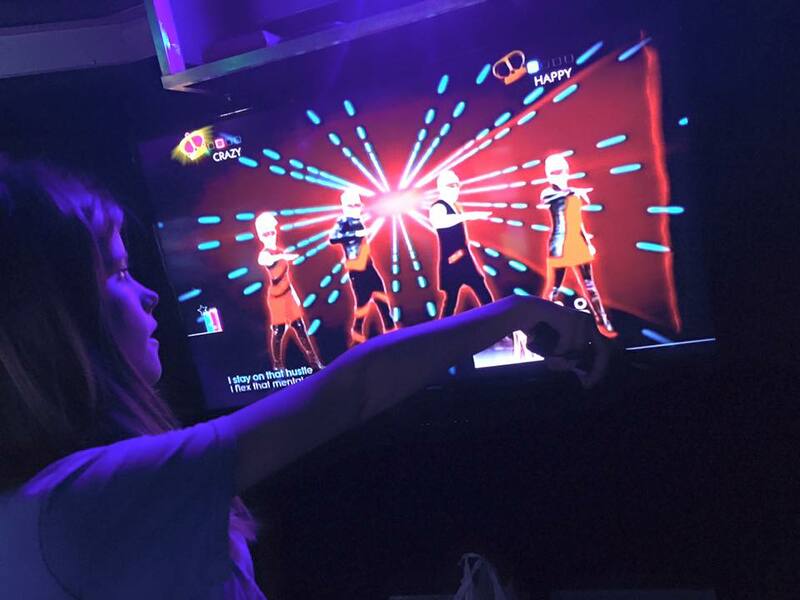 A party in the amazing Rocky Mountain Game Nomad Mobile Game Theater isn't the average birthday party...this is no boring bowling party, pizza party or teddy-bear-building party...it's a climate-controlled, luxury-limo-style video game party on wheels...that comes RIGHT TO YOU! Imagine the delight of your guests as our self-powered, fully equipped gaming heaven pulls up to your driveway! Our Game Coach keeps the party rolling with the best games and consoles. You relax...and your home stays clean! 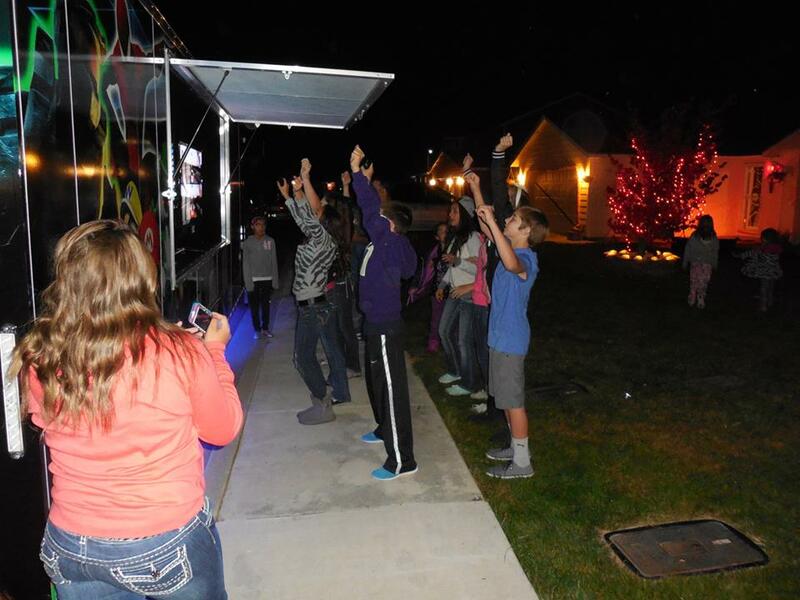 We have the best party idea in Billings, Laurel, Acton, Park City, Huntley and the surrounding south central Montana area! Latest News…Let Rocky Mountain Game Nomad help you with your Holiday Party Planning! 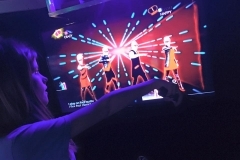 We can provide entertainment for the kids during the party. We can provide movies, video games and more. A great addition to your Holiday Event! The Big Game is Coming soon! Call us to reserve the date and be the big hit no matter who wins! Watch our 30 second commercial spot. We had a neighborhood party. The trailer was fun, cool and could fit so many people. Kent and his son were excellent help to set up for kids young and old! We had a blast! Highly recommend! We loved It! It was the hit of the party, and Kent is so nice to work with! So nice that you can go on hosting your party while he helps the game players! And it's not just the kids who enjoyed the games! Fun for everyone! This truck was rented for our son's graduation party. What a hit! All ages were enjoying the fun. The attendant was so nice and helpful with everything. We had a blast! Had a blast inside! Wish we had one at our tailgates. Any video game characters or images remain the copyrighted property of their respective owners and are used only to illustrate inventory.